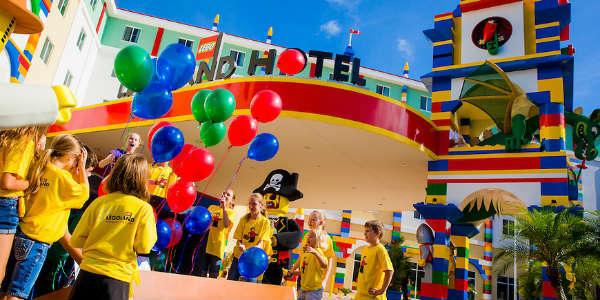 Early in the morning of Friday, May 15, LEGOLAND Florida officially opened the doors to the LEGOLAND hotel with confetti, Legos and more. The grand opening was honored with thousands of colorful LEGO® minifigures blasting out of cannons atop the hotel and a child discovering a key to open the hotel built for kids. The new LEGOLAND Hotel debuts several features unique to LEGOLAND Florida Resort, including the only LEGO Friends themed suite in the world, and daily build sessions with a Master Model Builder inside a Model Shop in the hotel. The final bricks are being put into place, and the first East Coast LEGOLAND Hotel is a go to open on May 15 at LEGOLAND Florida. The Hotel is built with kids in mind, from the lobby to the rooms. When families arrive, a special “Kid Check-in” takes place in front of the minifigure wall, which is made of 5,000 minifigures. The lobby itself is home to a Castle Play area, complete with a pirate ship surrounded by a moat filled with LEGO bricks. LEGOLAND Florida announced yesterday (Nov 21) that they will be opening a hotel on property in 2015. The park’s General Manager Adrian Jones made the announcement alongside community leaders with a ceremonial groundbreaking. The LEGOLAND hotel will be built directly to the left of the theme park’s entrance, next to Lake Eloise. It will feature 152 brightly colored and highly themed rooms and suites, a LEGO decor, interactive play areas, a pool, and a restaurant. 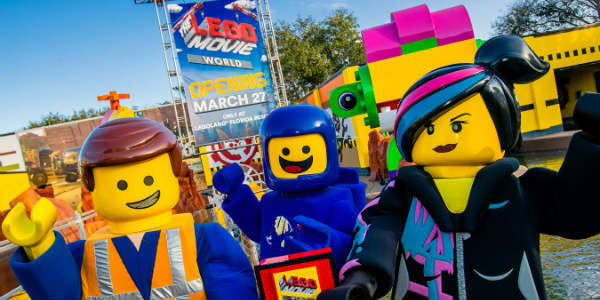 The addition of the hotel will make LEGOLAND Florida more of a multi-day destination, which is good since there is so much to do for families, it’s hard to squeeze it into one day. This will be the fifth LEGOLAND Hotel in the world joining LEGOLAND California, LEGOLAND Windsor, and LEGOLAND Billund hotels, as well as the soon-to-open LEGOLAND Malaysia Hotel.